Are Conferences Getting Old Yet Too Expensive? You are never too old to learn something new. It can’t be any truer. It is even a requisite nowadays as the world becomes more globally interconnected and people from different parts of the world may even compete for the same job. Hence, education is the key to professional and financial success in later life. Even if you are a degree-holder, it is not often an assurance you’d be able to land the job of your dreams after graduating since many others take the same path too. 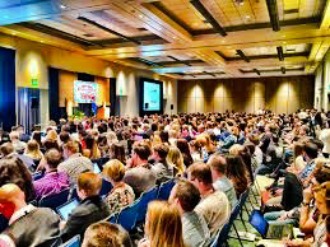 Attending academic conferences is a great way to boost your knowledge and skills and make you a more valuable asset to any company or organization. Fortunate for those who are sponsored by the academe or their offices for such lucrative post-graduate continuing education events but most individuals actually have to shell out a lot of (their personal) money in order for them to enhance their knowledge and stay updated on the latest news and trends in the competitive (and often changing) world of Academia. Conferences have been held since the early days of academia. But their size has changed dramatically. The intimate gatherings of academics from a specific field have now been replaced with mega conferences, frequently featuring 1,000 participants or more. Stockholm World Water Week, which brings together scholars and practitioners, counts more than 3,000 participants.